In the 1970s and 1980s there was a doubt about the death of many fighters inside the EPLF and ELF, for example : Weldenkel Haile (Wedi-Haile), Isayas Tewelde ( Wedi-Flansa), Fisehye Woldegebrel and others. There was also a question about the death of Dr.Fistum and conspiracy of the ELF.RC for the death of Abdu Romedan, and other fighters not mentioned in the ELF. Abrahm Twelde went to hide in Ala region in the highlands probably in September 1969. He was the leader of the Ala group. This did not have any intention to split from the ELF. Abraham Twelde who was the leader wished to resolve the problems with (Kiada al-Ama) through in dialogue not by splitting. However, after Mesfin Hagos joined the Ala group in March 1970 and Issayas on 27 April 1970,the PLF II or Selfi Natzinet was founded at a meeting at Ala by Issays, this was just after the death of Abraham Twelde on 17 May1970 which is still secret to most of us. According to some sources Abraham was poisoned in suspicious circumstance,. this was well documented by Human Rights Watch, (1991: 42p) ; by Erlich( Eritrea in the Western Media p.97 1988) Erlich states that one of Issayas' main rivals in the rebel movement was found poisoned to death in 1970;and by Alem Tesfay, 2004. Tuku'e Yehadego was born in Asmara around 1942. He attended high school at Haile Selassie I secondary school, where he was a leading figure in the 1957 student strike against the imposition of Amharic as the school's language instruction. During the student demonstration in 1957 he hit a police captain with his head and was arrested. Tuku'e was also a soccer star player, after graduation he played with the Adulis Footbal Club and in December 1959 when the team was playing in Port-Sudan, he was recruited into the Eritrea Liberation Movement (Haraka). According Iyob (1995, 101) the Eritrean team, Adulis travelled to the Sudan for national matches, and three ELM members mobilized and recruited members for the new organisation. Killion (1997, 53) also adds that Tuku'e later helped organize the ELM in Asmara. Team members, like Tuku'e played key roles in spreading the network among the youth in Asmara in 1959 and he became a key ELM organizer in Asmara where he worked for Civil Aviation Authority. Tuku’e was also recruited the Eritrean Chief Police General Tedla Ogbit who was active in the assembly intimidating members and interrogated ELM (Haraka) members in the late 1950s. However, Tedla repented later and attempted to join the Eritra resistance movement this could be after he was recruited by the ELM. Because of this development (connection) when Tuku’e was arrested for organising a demonstration against Eritrea ANNEXATION in late 1962 he was released by Police General Tedla Ogbit. When Tuku’e was working between Aden and Sudan in the early 1970s, he wrote unpublished paper under the title( ገድሊ ኤርተራ መዓስ ተጀመረ? ብመንከ? The main theme of this paper was just to make aware of the Eritrea people struggle how it was started and when. In this well written paper he made clear that the Eritrea people struggle was started in the 1940s and 1950s not in 1961. However, it was sad Tuku'e was killed before transferring his experience and knowledge to the young generation in 1971. This was presuming before 15.6.71 as he had a plan to attend the EPLF meeting on that date. For further information refer the last page of his paper ገድሊ ኤርተራ መዓስ ተጀመረ? ብመንከ? Regarding his death Killion in his book 413p mentioned that Tuku was killed in an ELF ambush in 1971 while bringing supplies from Port-Sudan to ELF-PLF fighters in Sahel, this was based on the EPLF story. The only person who knows the secret of this is Girmai Mehari as he reported that both of them lost each other somewhere around Mahemet on their way from Port-Sudan to Sahel because of fog. However what was reported by Girmai Mehari was just a cover up story similar to what was reported about the death of Abraham Twelde 1970s, Woldenkile Haile 1977, Mengesteab Yisak 1978, Ibrahim Afa 1985 etc or other fighters. As history proves Issays has never hesitated to eliminate any one who is more famous than he or a threat to his power and Tuku’e became one of the victim. Girmay Filipos in his paper “ኢሳያስ ሰላዪዶ ወይ ተጋዳሊ also mentioned that Tuke was killed by the EPLF not ELF. 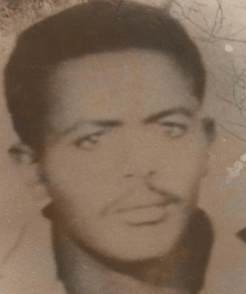 Based on this paper and others which were written about the EPLF’s History of Mysterious Deaths in the 1970s in past 6 years, one can dare to say that Tuku’e was killed by Girmai Mehari who is the commander of both Sembel and Tsetserat Prison Administration and Rehabilitation Services. The death of Tuku’e is also a victory for Idris M.Adem who was the founder of the ELF in competition with the ELM in 1960 and chairman of the ELF in 1971. According various sources Idris hated the ELM and its members because of their secular views. Regarding this Bereketeab (2000:184) states the leaders of the ELF and Idris Mohammed Adem in particular dislike the strategy of the ELM. Mengesteab (2005:40) also adds that, Idris launched a vitriolic campaign against ELM and its leaders threatened by the youthful and secular orientation of the ELM leadership and by Nawid's early affiliation with the Sudanese Communist Party, Idris Adem roused Eritrean nationalists against the ELM. Tuku’e was one of the great young personalities of the post-Italian colonial generation who spent his youth in struggling to preserve the federal constitution by leading student demonstrations and actively participating in spreading the ELM networking, helping organize a protest against Eritrea ANNEXATION in late 1962. 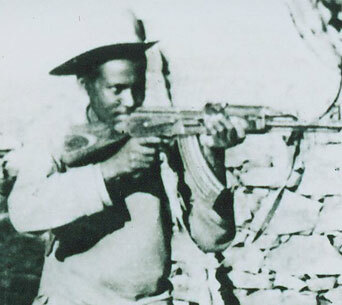 In this 48th year of commemoration of the beginning of the armed struggle for national liberation, a brave nationalist man like Tuku’s should be remembered as a hero by all Eritrean youth and they should follow his traces to revitalize the spirit of the 1950s youth movement which will be have a great outcome in creating unity among the youth to speed up their victory over the present autocratic government and other leaders within the opposition groups who refuse to acknowledge their crimes or collaboration during the armed struggle. In the early 1970s there was a question about the death of Dr Fistum in the ELF. Dr Fitsum could be one of of the Addis Ababa University students who was recruited by Kidane Kiflue in the mid 1960. In 1970 Dr Fitsum and other members of GUES accused Kiyada Ama (ELF leadership) of murdering Kidane and Giday. This was at the meeting of Eritrean students in Munich in the summer which Dr Fistum chaired. After this meeting member of GUES split into two group. However, Dr Fistum joined the ELF which was the probable cause of his mysterious death in 1971. Huri Tedla who was one of the supporters of the ELF at the Munich meeting in 1970, and in 1971 who became vice chair man of the ELF was probably behind the conspiracy which lead to Dr Fistum killing by the ELF fighter(Abrahale) in 1971. He was a member of the ‘other’ 19-person Executive Committee Elected by 1st ELF Congress in 1971. Woldenkel Haile who was head of the security department said that the Menka ringleaders prisoners did not commit any crime except breaking military discipline rules. He made clear his stand which was completely different from Issayas . Because of this Issayas was not happy and Woldenkel Haile was sent to the Hailitat (front line sometime in 1974 Afewerki, Tewdros, 2003. He was the most distinguished military leader next to Ibrhim Afa and had led the Eritrea People’s Liberation Army to victory at the strategic town of Segeneti in 1977 but was not a member of the central comittee in 1977. He was killed shortly after the victory by an unidentified gunman at Segeneti, his birth place. When this occurred there was a radio message in this code " Itia Abai Lham Ab Mereta Wediqa", meaning that the great leader rest on his land"
Meharena Hadgu in Menkae memory wrote that fighters were taken away from front lines and disappeared. Some fighters came from Addis and abroad hearing of the Menkae killings and asked about it. They were met suspiciously and made to disappear. the ELF done? So what was the reason Shabia split from ELF then? Petros was made to stay behind since they were called to meda for work. Similarly, EPLF followers were hurling any insult that might stick. Thus "Jim Jones of Eritrea" was one that they attempted to label the man with, because he simply thought outside the groupthink. If anyone would fit the cult bill, it would have been those that were throwing an insult at Mengisteab and his comrades of the time like the late Petros Yohannes, a student from Canada, who ended up in the field at such turbulent time and soon after to be pronounced dead by accident in the fields of Eritrea. Incidentally, EPLF would give a martyr’s certificate to Petros Yohannes’ family: location Embatkalla, not Sahel as it was first thought. Andeberhan Woldegiorgis was Petros’archenemy, the source added. This trusted source alleges that the controversial booklet was written–mainly-by the two fallen men.